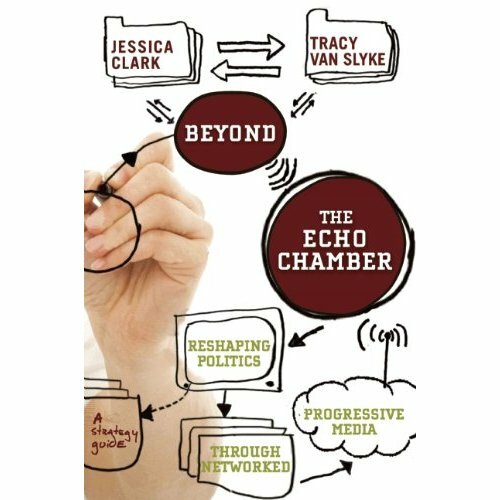 Tracy Van Slyke and Jessica Clark break down the progressive media scene in Beyond the Echo Chamber. Of all the fields that have been effected by the seismic changes wrought by the advent and rise of the Internet, journalism may be among the very top. I see it every day at The Chicago Reporter. We are online constantly for all kinds of data and other information retrieval. But, far beyond that, the very industry has had its underpinnings wrenched loose, with no clear destination or landing point. In some ways, the impact can be seen most clearly with our interns, who, more and more, have their hearts in journalism, but their bodies in law or some other, more stable future venture. Into this decidedly turbulent and constantly evolving landscape wade Tracy Van Slyke and Jessica Clark. The former upper-level workers at In These Times are not looking at all of media, but rather at media of the progressive stripe. In Beyond The Echo Chamber, they combine thoughtful analysis and prescriptive strategies for how to explain, understand and have impact in our increasingly information-driven world.